For larger Oklahoma City families, it can be difficult to find a vehicle that accommodates your growing needs. We have SUVs and vans to fit the whole family at our Yukon dealership. 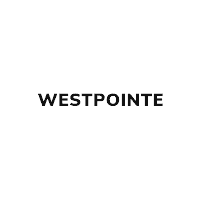 Browse our inventory available today at Westpointe Chrysler Jeep Dodge. Dodge Durango: This SUV offers a third-row and spacious seating for 7. Chrysler Pacifica: The Pacifica provides seating for 7 and features the Class-Exclusive Stow ‘N Go Seating for when you need to carry cargo. Chrysler Pacifica Hybrid: This eco-friendly option also delivers 7-passenger seating. At Westpointe Chrysler Jeep Dodge we know that choosing the right vehicle for your family is important. If you need help making this decision, feel free to contact us at Westpointe Chrysler Jeep Dodge with your questions. We know our lineup inside and out, and want to make sure you are satisfied with your purchase!